An eye catchy, pretty cool image on friendship for free use. A good friend come lover is the best gift that life would gift us with. Because a love from a friend is so precious, because the person know whom we really are and also understands us more better. 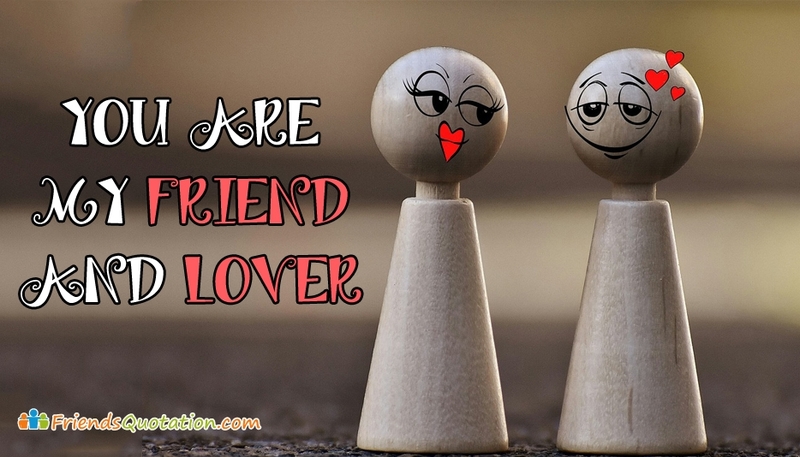 You can free download and share this "You are My Friend and Lover" text image through any social media.